I’m giving you all the tips and tricks to create your very own Halloween MUMMY Door! I love holidays, but I do not always want to spend a fortune on the decor. 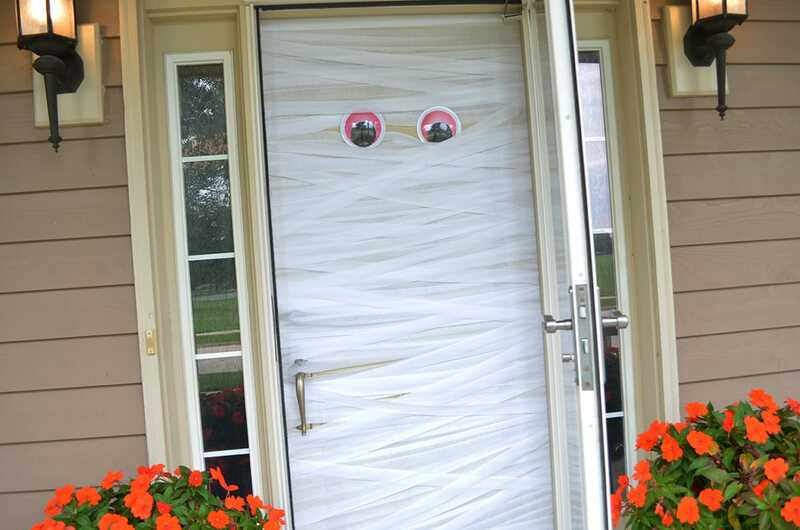 This Halloween MUMMY Door was one of those crafts that gives a lot of bang for your buck. Using your scissors, one roll of tape, two rolls of streamers, extra large craft eyes and UGlu (or other removable adhesive for the eyes) you too can create this Spooktacular Halloween decoration. Do not make this MUMMY unless you have a storm door or when it rains you’ll have huge wet paper mess. If you do not have a storm door you could make this MUMMY on a garage entry door or any closet/bedroom door in your home. Cover the entire door in even straight lines overlapping about 1/3 of each streamer, working from the top of the door to the bottom. Then do a second layer crossing the streamer unevenly to give that MUMMIFIED look. My little guy helped with handing me the pieces of tape and cutting the streamers. It was a wonderful time that we spent together making our front door into an very cool Halloween Mummy. I will definitely continue this tradition and be Mummifying our door again next year! 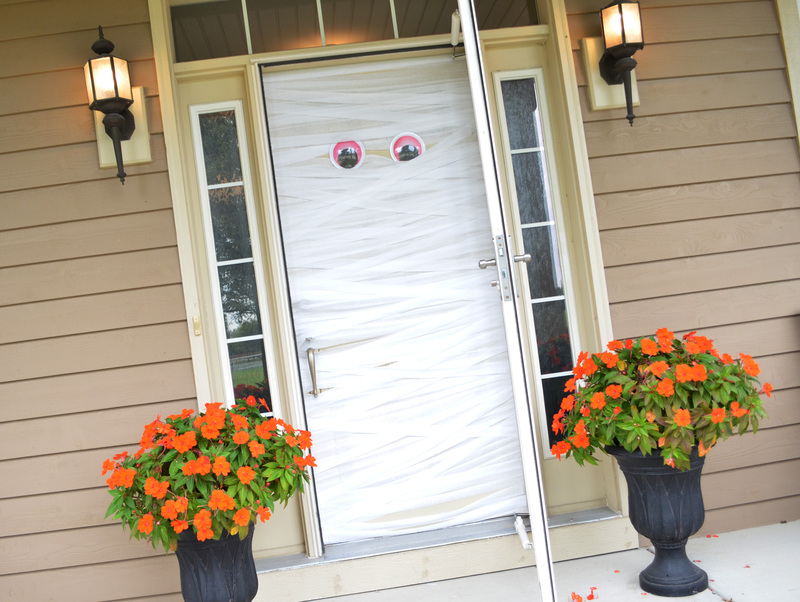 Don’t wait, get all the supplies together today to create your very own Halloween MUMMY Door!